Need a last minute pattern for a gift? You are beginner and don’t know where to start? Have to make a bunch of hats for your grandkids or donate them to local hospital? It’s your lucky day, here is a extremely easy and quick Knit-look Beanie. 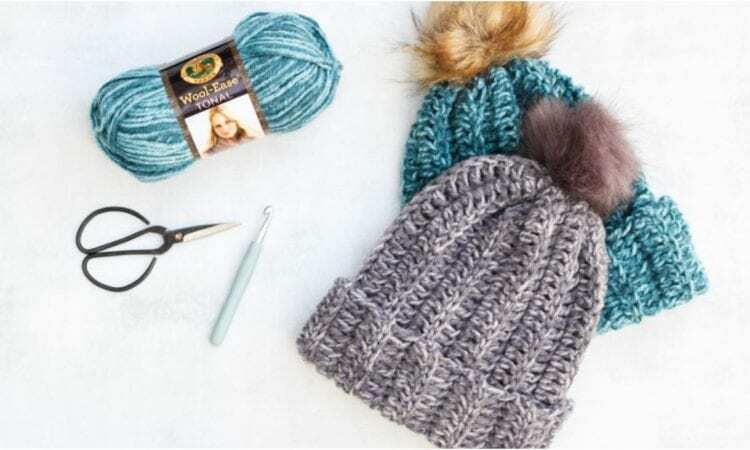 With this pattern and tutorial you will be able to make your own beanie in 1.5 hours, even if you are learning crochet. This beanie is worked flat in a rectangle and seamed at the end, so you can finish it before evening movie is end…. A link the free pattern and video tutorial is at the end of the post. why is it that everything here you have to down load pdf for? can’t you just post the instructions here rather than people having to download something to make something that is already free ? It want’s to change the driver’s on my pc for this and I sure as heck am not going to do that. A link to a pattern is a the end of the post. You don’t have to download pdf for it.